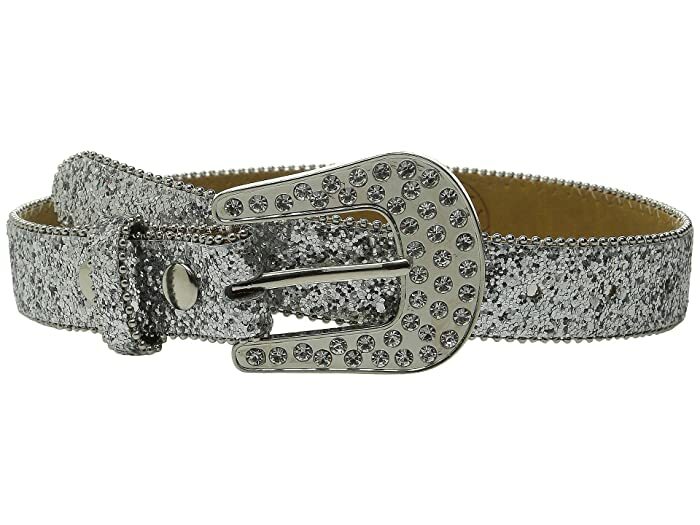 Your little cowgirl will sparkle in the beautiful Ariat® Glitter Belt! Leather belt with glitter accents throughout strap and lined with silver-tone studs. Silver-tone buckle featuring beautiful clear crystal accents for added sparkle. Product measurements were taken using size 20" Waist. Please note that measurements may vary by size.